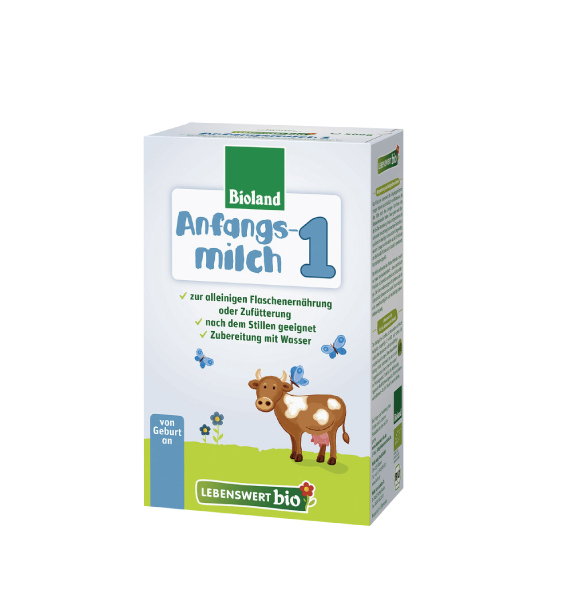 "Lebenswert bio Organic Starter Kit Stage 1"
The milk of Stage 1 comes exclusively from organic farmers who follow the strict guidelines of Bioland Farming. In this method of farming, man, animal and land are valued and respected. Organic Bioland farmers stand for species-appropriate stock breeding, plant protection and soil fertilization without chemical or synthetic agents. You can find out more about the Bioland farming methods here. Related links to "Lebenswert bio Organic Starter Kit Stage 1"
Great product. We transitioned our son to formula between 4-5 months. He took to amazingly well and quickly came to prefer it even to breastmilk. We feel good knowing that we're feeding him with some of the best formula available in the world. Great customer service, quick and safe shipping, and the best possible price. We'll be back for more! Amazing formula, my baby tolerates it better than everything else. It might take a while to ship from Germany but its worth it because the prices are amazing and you get a ton of cereal samples with each box!! which means we will buy our cereal from Maluma as well!! Amazing! Baby loves it. Baby has no gas. Recommend to everyone. Best formula, she sets up every five seconds if I ever run out. Our daughter loves this! Great smell compared to Canadian brands and even smells better coming out the other end. 100% recommended. My baby does great on this formula! Her dirty diapers are soft and I love knowing she is getting clean ingredients. Best value and amazing product! I am so happy to find this formula for my beautiful twin girls. They were on the most popular american formula before, but have reacted poorly. This formula is all natural. Our little guy loves this stuff. It does him and his tummy well. He’s gaining weight like a champ. Received product 9 days after ordering. Really impressed with the lower cost and speedy delivery given that it is international. Haven’t had the baby yet, so I don’t know how it will be for mixing, etc. My twins do really well on lebenswert. Maluma Green has great prices. Amazing product. Have used this for both my kids. The shipping was very quick and got the product in a well package form. Truly impressed with the prompt service and will use them again for the next order. Our baby loved this product. Everything arrived in the time frame promised, and in perfect condition! We're so excited to have found a site with amazing product and equally amazing customer service! Love this formula and so does my daughter! It smells and tastes great, I also feel good that my little one is getting he best. I’m placing my stage 2 order soon! Our little man started on this as soon as we found out we had an issue with no milk supply - due to insufficient glandular tissue, he has been on formula since week 1. He is happy, energetic, and very alert on Anfangsmilch 1. I feel comfortable with the manufacturing and ingredients of it. The product comes in a foil pouch, which isn't as easy to work with as the plastic can formulas, but is safer. Our man's poops look much like breast milk poops - a couple movements a day, yellow and wet (sorry for TMI - maybe the one time I feel this information is helpful). We went from Hipp ready to drink to this formula. The transition was seamless and our kids (twins) are both feeding well on it. Best price for the awesome formula, I chose the standard shipping and my order must’ve gotten held up at customs because I didn’t get an update for almost 4 weeks from DHL. I contacted customer service and they submitted an inquiry to DHL. In 2 business days I received a notification from USPS that my package is now on is way. Great product! My son really likes it! The formula arrived earlier than we even expected and the packaging was flawless. We also enjoyed our treat that arrived in the package as well. All the formula was well preserved and we could not recommend Maluma enough! Best website to by formula. I live in NY and got my order in only 10 day. The cheapest on internet and they give you free samples. Highly recommended. Thank you Maluma. This was the only Formula my son would drink. Love it! And Maluma Green had the best prices! I love Maluma Green, the free shipping gets this formula to us in Chicago much faster than I would have thought. Buying in bulk makes giving our baby the best much more affordable. 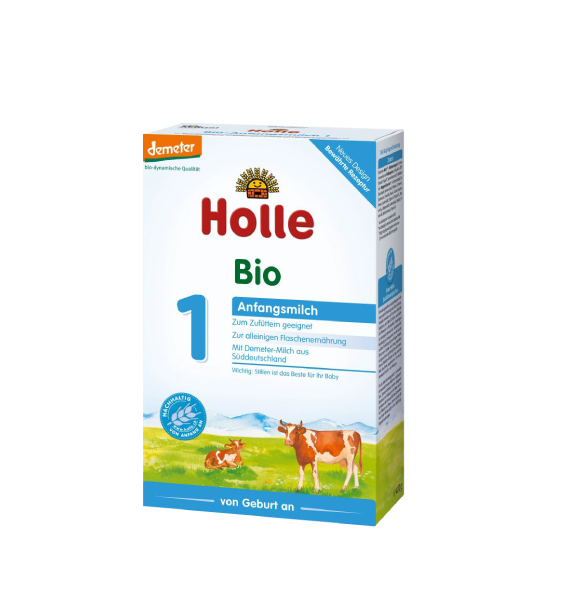 After researching infant formula online, we decided to try Holle Lebenswert. Since we are adopting our daughter and breastfeeding is not an option, we only wanted the best formula. We have been very pleased so far. She is 3 weeks old and has had no feeding issues and is gaining weight very well. 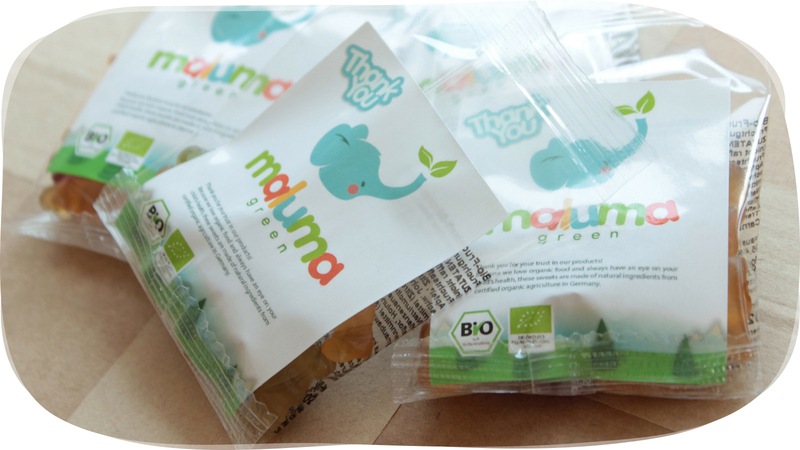 Also, maluma-green seems to have great customer service and a user-friendly website. Thanks so much! My husband and I are so happy to be giving our son this formula. A friend of ours was using it and after doing my own research, I realized that formulas such as Hipp, Holle, and Lebenswert were the best options for our family. You can really tell the difference in this formula as compared to North American formulas - from the smell, the look, and how our son loves it. When we got our package (in exactly 2 weeks) we were so pleased with the packaging and appreciated the gummies and sample infant foods. Thank you Maluma Green for your wonderful service! We will be ordering again! My goodness. I cannot tell you how pleased I was to come across Maluma Green! I had been purchasing Lebenswert bio from a company in the USA that imported and marked up their prices dramatically. Maluma Green customer service was outstanding. I almost felt they were too good to be true! But sure enough, not only did my 15 boxes arrive quickly (less than 3 weeks), they were packaged well and they sent samples of Holle cereals I had been wanting to try for my babe! I'm so excited. Once we try them and see which ones are best, I'll definitely order some of those with my next order of formula. It amazes me everyone doesn't use products of this standard! I am so incredibly pleased with the formula and ingredients as well as the price! Thank you Maluma Green! I tell everyone I know about you and I know some are already going to purchase through you now! We tried to use the formula in the US but couldn't find any without bad ingredients in them. We found this and our little boy loves it. He is 9 months old and we use about a box a week. The reason we bought stage 1 is because it has lactose instead of maltodextrin. If you live near one of the coasts just ask Maluma to route it through a corresponding customs and it'll get there faster. Our first shipment went through the east coast and we live in Hawaii so it took 3 weeks. The second shipment went through San Francisco and it only took a week. Thank you again for an amazing product! Always great shipping service and product. We recommend this formula to everyone! My third baby isn't here yet, but all the research I did pointed to this company and this brand as the most wholesome and reliable way to supplement my little one. I am very pleased with the price I paid and the product I received. It even got here quicker than promised! Fantastic service, prompt shipping, products arrived in great condition and are 100% authentic! This formula is amazing. It mixes well, doesn't cause reflux, and I am comfortable using due to the organic standards behind the product. Only formula I will use on my babies! Extremely happy with my purchase. I love that this formula doesn't produce bubbles when shaking it up like US brands. I ordered a couple boxes from a US based supplier first to make sure baby liked it. I then ordered from here and even with shipping costs saved compared to the US supplier. 1 box makes more ounces than 1 can of the Similiac I was using. I ordered the 15 box bundle and it comes out to $0.17 per ounce (with shipping) and I was paying $0.20 per ounce for Similiac. So glad I made the switch, only wish I had done it sooner. Love love lebenswert formula for our baby. It's easy to digest and shipping takes about two weeks. Organic baby food's price is the cheapest compared to other sites. Laura is great in answering out questions. Love this formula! I feel great that I'm giving our baby the best, and what's surprising is that it's actually more affordable than the less than great formulas available in the states! The package arrived sooner than expected, which was nice. The formula is very easy on baby's tummy and has regular mild-smelling poop. The formula ingredients can be even better, but so far, this is one of the best organic formula that i have researched and found. I am so glad I found this site! I had planned to breastfeed, but unfortunately it wasn't in the cards for me and our little one. Thank goodness for good formula and a place to order in bulk. I did research while pregnant and found that this is the best formula, but it is hard to get in the US. This site made it easy to order and it was on our doorstep earlier than expected. We will definitely continue to order from this site. Ordered the starter kit and received it much quicker than expected (1.5 weeks from Europe to Canada)! Laura was quick to email when my order was shipped along with the tracking number. Packaging was in good condition and even received a re-usable tote and some samples of cereal packages. Have to admit, I was a little skeptical at first ordering formula online ... this was a great experience and I will definitely be a repeat customer. I loved that it doesn't have as many ingredients as other US formulas. My baby has done really well with this formula and I will continue to use it! The best baby food that you can buy. And it was shipped quickly! We just made the switch from breast milk to Holle Lebenswert. My little one did not seem to notice the difference and drank it no problem. I love that the ingredients are trust-worthy. Excellent service. When I had a question, Laura responded promptly. So happy to be able to feed my twins Lebenswert Bio. Not being able to breast feed made me feel terrible. Knowing I can safely order the best formula from Germany is very reassuring. More affordable than other online retailers. Just expect to wait at least two weeks for your package to arrive. Love this formula! I was relieved to find a formula containing actual lactose as opposed to the various sugars used in many American-made formulas. Mixes easily, and no foam when you shake it! We are very happy with the service. Couldn't have been better. Much cheaper than the ones you can buy in the US. I received it in2weeks. Awesome service and product! I will order more. Lots of love! I love the starter kit! I needed to supplement my breastfeeding with formula and wanted to do Lebenswert. He does really well on it and I am happy with the ingredients. Plus I can't beat the service from Organicbabyfood! Great prices and fast shipping. Love Love this product! My baby girl had acid re-flux and horrible gas but with this formula it is now under controlled. Great product, reasonable prices, and fast shipping. Our daughter took to the formula right way- without issues. When you make this formula it doesn't have the awful smells that American formulas have. Seriously, make a batch of this formula and American formula to compare. Your eyes, nose and tastebuds will see the light. I am thankful I can get the best organic European formula's from this company. I am looking forward to purchasing my next package through them. This formula was a life saver! Had tried all the American formulas and between fighting colic and then no dirty diaper and screaming from hunger, diaper changes, and the white volcano I was truly desperate. After a week on this formula my son is a different baby, happy, normal diaper changes and eating like a horse. I would highey recommend this product to any parent struggling with feeding issues. I am supplementing breast feeding with this formula. God bless and good luck to all the parents out there, and many thanks to organic baby food 24 to making the purchase of this possible. Overall, I was very satisfied with my purchase. The product arrived within a few weeks. The tracking was simple once I used google translate. There were no surprise DHL shipping fees. The boxes were neatly packaged and even included some free samples. The only thing I disliked were the packing peanuts they used to fill the box (super annoying to clean up). We tried Similac, and Honest and definitely like this Holle the best! It seems to work best with our little girl and I've been very happy with the service. It would be nice to have a clearer delivery date although possibly it is Customs that doesn't allow that to happen. I decided to switch my baby to holle lebenswert because it is sweetened with lactose as opposed to some chemicals or corn syrup. My baby instantly started having softer stools, which now happen more regularly. When I tried the ready to consume formula I really liked the taste, other formulas smelled and tasted really bad. I also like the customer service - always responsive and helpful. I was hesitant to buy something as important as baby formula online, but having tried it I am now confident that the product is of high quality and most importantly authentic. Love this formula, i wouldnt give my child anything else. I love the formula! My only reason for not giving it a 10/10 rating is that we have to wait weeks to get it since it comes from overseas. I switched my son into this formula and he loves it. He used to vomit and get facial rashes in other conventional formulas, but in this, his facial rashes were gone and doesn't vomit much. He loves this milk. 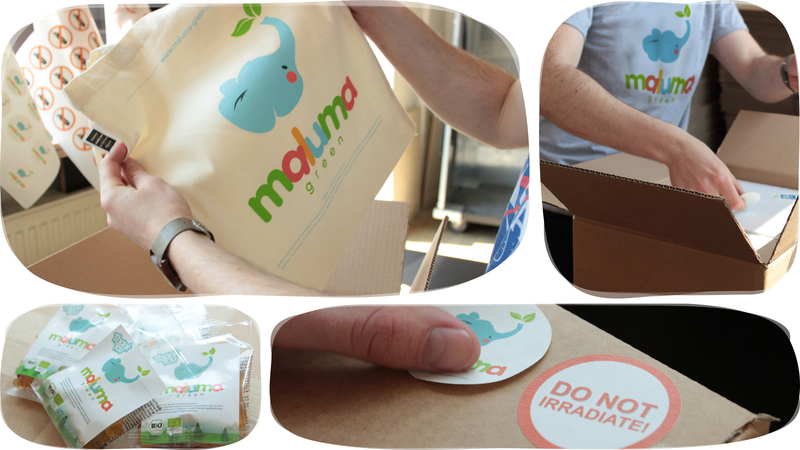 Packaging is good and with a free gift bag and samples of organic cereals. Thank you. We ordered the Holle Lebenswert Starter Kit 1 on March 11, it was dispatched March 14, from Germany, and was delivered to us March 28 and we live in Los Angeles! The packaging was intact and the box was not irradiated. We are very happy with the service, quality and delivery and are planning on ordering regularly during our baby's growth. By the way, including the shipping each box comes out much less than vendors in the US. Since we are buying in bulk this is a substantial saving. Just plan in advance when ordering taking into account that they are in Germany! Would highly recommend. I transitioned my son to the lebenswert and he's done just fine on it. The main reason why I chose this formula is because it has NO soy, which contains high levels of the female hormone estrogen. ALL American made formulas contain soy, and I did not want to feed my son that. The website is very easy to use. Customer service is very responsive and friendly! I feel like I know them personally! Fast delivery considering overseas shipment! I used Holle with my son and decided to use Holle Lebenswert with my daughter; both loved the formula. Never had any tolerance issues. I tasted the formula and it is actually good; it doesn't have that metal taste like US formulas. What can I say, fantastic service, fantastic product! We love the formula; can't beat the health benefits and supposedly for infant formula it tastes great too! The absolute best food and formula you can buy. This is the fastest, easiest place to buy in the USA. I did quite a bit if research, and this company doesn't have any hoops to jumo through, and the prices are extremely reasonable. My favorite- they sens samples! I live in the U.S. and I searched for the best formula for my baby, since the U.S. Products contain many ingredients that I didn't want to feed my child. This formula is the best and organic baby food 24 has the best deal!! I did purchase this formula from other sites, but organic baby food24 is by far the cheapest and best customer service I got. They even gave me samples of other things and their original shopping bag!! Which is a huge plus for me. I'm definitely ordering again from them. Our little one has struggled with gas and belly pains and we hated putting her on all the American formulas with their less than wonderful ingredients. We tried this and the other version of Holle formula and both have helped with her gas. She still experiences some gas pain but not nearly as bad, which is great! Excellent product. I feel confident that my child is having organic and the best possible option. It is worth it to ship this to North America. I hope one day we will have the option to purchase it here from a retailer. Formula is fantastic! Easy to use and store and newborn has taken to it very well. Organicbabyfood is a great service. Even with shipping costs being high, it's still cheaper than buying from local us sellers. The only thing caveat is that you need to time your order appropriately as even with expedited shipping it can take more than 3 weeks. Laura is also a great customer service rep as she responds to email the next day. the only issue I had was with it taking longer than expected (which most of that is us customs) and it being shipped to a different street number. As I was tracking the package, I knew when the package had arrived to pick up at us postal office but picking up from us postal office was a nightmare. In the end I got my package and emailed Laura. She immediately apologized and gave me a coupon for my next purchase. In regards to the product , my baby is thriving in it. I had switched from enfamil gentlease as he was still crying every night from gas and colic. I had tried previously simalac and it was worse. I am so happy my baby took this formula well. Great service and fast shipping. I would definitely recommend this site. Great for our little girl, she loves and it and we love that it's made from the best ingredients available. Since our baby weaned herself, this is the only baby formula we trust to replace breastmilk. We are happy with the order and liked that the box was marked "Organic Baby Food" so it wouldn't be irradiated by customs. I got some free Holle cereals to try for my 4 month old. Will order again guaranteed! My LO has only been on this new Holle formula for a few days now, but, he seems to love it! He's not nearly as gassy, sleeps more soundly after feeding, and overall seems to drink it down with enjoyment. I will be ordering the stage 2 version of this formula at the 6 month mark. I even received free samples of various baby foods, nice touch! Overall 10 for my experience! I love this formula. I noticed that the texture is much smoother than the ones in the states. It dissolves much nicer without a lot of bubbles (which I think could lead to air intake and make baby gassy). great. would purchase from again!! Just Best formula on this planet. Want to know why? Just try it! This is great formula...our son really takes to it well. My order was packaged nicely. There were samples given (cereal and gummies), I would purchase from this company again. I just wished the shipping cost wasn't that high. Best formula available. Mixes cleanly without bubbles like some other formulas. My baby loves it as well! This formula saved my child. He could not digest anything, was throwing up and having constant stomache pain. After switching to this formula his stomache pain went away. He was so happy, and started pooping regularly. Now, 3 months old, he is healthy, and growing so fast. My pediatrician is amazed how good he looks. Not only is this formula much better for you baby, my baby loves it. It smells better, it mixes better. Its just better. It arrived quickly and instructions were clear. Thank you! Love this formula! My baby is is so much happier with it and no constipation! And it's the healthiest option out there! Great product from a great company. Fast shipping and quick to respond to emails! I am very happy with Holle Lebenswert formula and I am happy that it is made with the best quality ingredients. My baby has had no problems digesting the formula and it has not caused any problems when I changed from another formula to this one. A life saver for us! My infant was having horrible issues with conventional formula. The doctor told me that she is lactose intolerant. At that point we switched her to a special formula that she hated! feeding her was a struggle and she had horrible diarrhea. I had already ordered Lebenswert at this point and thought that it would go to waste since the doctor said my daughter is lactose intolerant. However, when the milk arrived I decided to give it a try anyway. A miracle! Not only did she gulp id down like crazy, but it turns out she is NOT lactose intolerant! She was just reacting to all the additives. This formula is a miracle for us! she is doing so well on it!!!! Great product, need to plan for shipping, much better quality than available in USA. Our Baby Boy loves this formula! We're so happy we found this product! Reduced gas, gaining good weight, regular poops, sleeps well and just seems happier and healthier over are since switching from the brand the hospital got us using. We are using this product along side my wife's breast milk she's pumping. She had a breast reduction the year we were married and doesn't produce enough milk because of the surgery. I've done a lot of research and this formula has the best ingredients and is true organic not just a marketing gimmick like in the U.S. Or Canada. And organic baby food is a amazing company! Fast shipping and great customer service! We got our package in Vancouver Canada in 3 days. (Express shipping) but still! Repeate customer that absolutely loves this formula. Our twins have done really well compared to others, and I appreciate the clean ingredient list, and pricing and availability from Organic Baby Food. Will continue to purchase! We love Holle brand formula. We ran out recently and tried another brand between shipments and it was not the same. Our son has never had any problems with spitting up or not being able to digest the food. We love the product and are very happy so far with quality and quick customer service. Living in the U.S. I was horrified to see all the ingredients in the formula I was feeding my daughter. With such low standards for baby formula here I decided to find a better product and found this. My daughters horrible gas has stopped and she doesn't have stomach pains anymore. Definitely worth the extra shipping costs to get it from Germany! Great formula, baby loves it. We changed from the original holle because of availability and had no problems with the switch. After trying to find a good formula for my son I realized that the US has really, really low standards for baby formula with all sorts of horrible ingredients that I wouldn't have let alone feed to my baby! Once we received this formula my son was A LOT happier! No more constipation! I cannot recommend this product enough and think it is definitely worth the extra money to have it shipped from Germany. I wish I could give it extra stars! Best thing I ever did for my son was buy this product. He was on Enfamil in NICU and as soon as we got home we switched him. He adjusted well and got over the vomiting and constipation issues he was having. I'm very happy with this product and cannot find it in the US so am willing to pay for it to be shipped to me from Germany where I know the product is made well without GMOs, etc. My son has a sensitive stomach and this product has been a life saver! A good formula that does not contain soy. My baby hasn't had any issues on this formula.